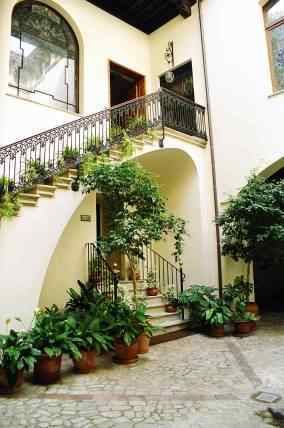 Within the cool winding thoroughfares of Palma’s historic Old Town lie some of this proud city’s special treasures: magnificent marble patios which were once the pride of successful Palmesanos. Heavy wooden doors protect the privacy of these courtyards — or patios — their starkness denying the architectural gems that lie inside. Fortunately, the heroic efforts of the Balearic Government now ensure most of them are open year round, and during the fortnight of Corpus Christi, other private residences throw open their doors to add to the number of patios holding enchanted concerts under the stars. Viewing these shady hideaways gives you a glimpse a bygone age. The patios were once used as important areas for business dealings and domestic activity, providing space for children’s games and social gatherings. They were a semi-communal space for neighbours to take refreshment and rest during the hot summer months and a means of communicating family news; a half-closed door to the patio indicated the death of a resident; if it was wide open and decorated with plants and flowers it announced the birth of a child. During the 20th century, many patios ceased to fulfil their traditional function, becoming more of a skylight-lit staircase enclosure than a gathering place for friends and neighbours. With some of the old buildings now partitioned into separate apartments, the courtyards retain a sense of community and remain an important 'face' for its inhabitants, one example being Can Frontera (right). Growing awareness of architectural heritage has encouraged many owners to preserve and restore their patios. 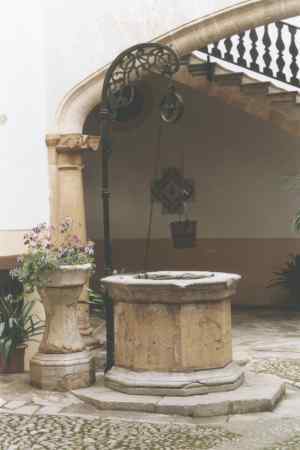 To view the patios you must also explore Palma’s ancient alleyways, which offer a continual contradiction in atmosphere. One moment teeming with noise and activity, the next they lie so still and so silent it is possible to sense the phantasma of ancient Palmesanos peeping around entrances or disappearing down calle’s resonant with history. The forbidding frontage of wooden doors belie the romance of the patios lying within, whose basic design consists of a pas d’entrada (covered area) to pass through before arriving at the central courtyard, from which a dominating staircase stretches up to hidden living apartments, jealously guarding their occupants privacy as passer-bys imagine the illicit affairs once conducted in the secret shadows. Can Forteza Del Sitjar (left) is an example of the traditional appearance of the patios. You will find superb examples of architectural styles ranging from the Primitive Gothic to the 19th century extremes of Classicism and Medieval influenced Neo-Gothic in this quiet quarter of the city. Indeed, many patios contain an eclectic mix of architectural influences as each generation sought to put their mark on the houses. Catalan roses vie with stone monkeys and tortoises amid luxuriant potted palms placed to perfection within the patio’s confines, or an austere Baroque patio will lie faithfully bare of all decoration while opposite lies a highly stylised patio from the Primitive Gothic era with its geminated windows of 14th century royal influence. A pleasant way to explore Palma’s ancient quarter is to follow the Ruta dels Patis de Palma. The booklet outlining the walk is available from the Tourist offices on Plaza España, Placa de la Reina, or Santa Domingo, or by contacting the number or visiting the palmademallorca.es website. Guided tours are available and can be organised through the Tourist Offices. that do not feature on the walk will also be open; some may be a little run down, and others highly maintained, but lack of 'cosmetics' make them a natural treasure. From antique doll's houses, mysterious gardens enclosed in trapezoidal courtyards and traditional wells as exemplified in Can Oleza (right), to elaborate murals and sculpture, each holds a pleasure of its own. 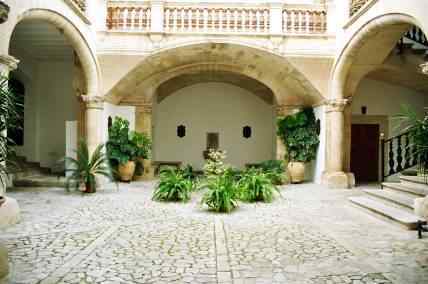 Some of the patios front museums or galleries such as Can Morey-Santmartí at Carrer de la Portella, 9, which is the Casa Museu J. Torrents Lladó, or Can Marquès de Solleric (Casal Solleric), which holds exhibitions. Other patios belong to schools, businesses or charities like Carrer de Sant Jaume, 4 which houses the Fundació Barceló and features a small patio in the Neo-Gothic style. It is not necessary to follow the Ruta dels Patis religiously; instead, detouring enables the exploration of areas such as the Plaza Quadrado, a tranquil square of traditional shops with a fabulous art deco building on the corner of Gerreria and Sant Bona Posada. If the Ruta dels Patis de Palma raises a curiosity in you about the Palmesano lifestyle, a visit to Can Marquès at Carrer de Zanglada, 2-A is highly recommended. The first documented reference to this fascinating building was in the 13th century and it was last occupied in 1962 by a family typical of the type of wealthy Mallorcan that lived in Palma at the time. In 1998 Can Marquès was acquired with the purpose of opening it to the public as a stately home and provides a fascinating look into the lives of the people living above the patios. The floor of Can Marquès that is open for viewing incorporates bedrooms, kitchen, study, chapel and reception rooms, and is painstakingly representation of the lifestyle of the Palma bourgeoisie. In fact, many visitors feel they have dropped in on the absent family at their most intimate! A basket of laundry spills over onto the floor of the kitchen and a beautiful shawl is draped carelessly over a chaise in the dressing room. Fashion magazines sit under a vase in one of the stately drawing rooms. The furnishings of the house reflect its evolvement over the centuries. Rooms are sometimes stately and imposing, but always fascinating in the detail to which the curators have gone to present the early 20th century. Information on Can Marquès can by obtained by telephoning +34 971 716 247, emailing info@casasconhistoria.net or visiting the casasconhistoria.net website. 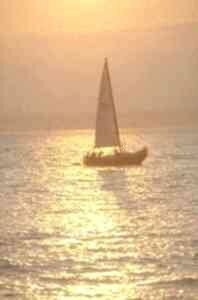 "So special are the Corpus Christi concerts, I never return to the North for my summer holidays until they are over. For then, we have the opportunity on a summer’s evening, not yet too hot and with the scent of blossom in the air, to sit in historic courtyards and listen to music. Mallorcans in summer dresses and suits, fans to the ready, outnumber visitors so that one feels specially privileged to be among them. Many of the patios are open to the evening sky, jewelled with stars. I recollect swifts flying overhead, their bird song occasionally blending with the music and adding another special dimension." The Corpus Christi concerts in the patios are becoming more of a highlight every year with tourists and residents alike. The popularity is such that each year more private patios are opening to the public for the Ruta dels Patis de Palma and to hold Corpus Christi concerts. Palma’s patios reflect Mallorca’s heritage. They are a little-known architectural treasure of the Balearics that is slowly, through tourism and the persistence of sympathetic Mallorcans, becoming recognised and rediscovered both by natives and tourists alike. For more information on the Corpus Christi concerts telephone +34 902 102 365 or visit palmademallorca.es. If you enjoyed reading the above article then you will probably also enjoy Florence, also in Europe, and our latest articles covering the Orinoco Delta, La Mata, Marbella and Beijing.